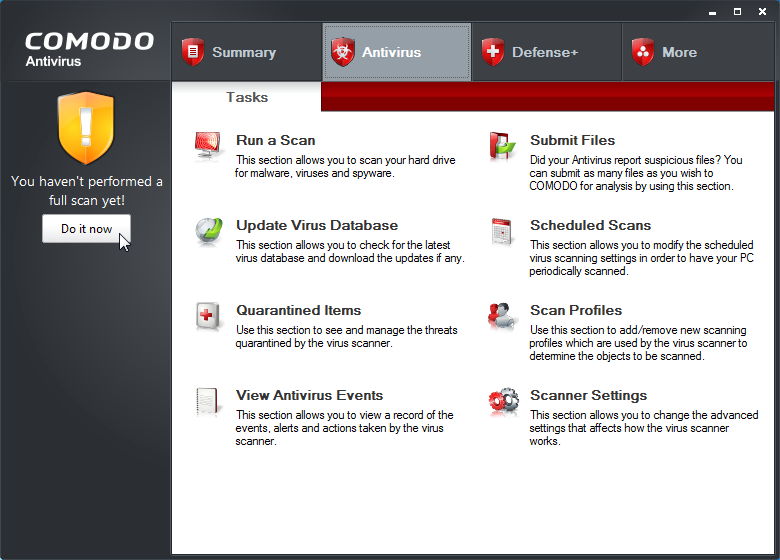 Comodo AntiVirus leverages multiple technologies (including on demand & on access scanning, email scanning, process monitoring, worm blocking and host intrusion prevention) to immediately start cleaning or quarantining suspicious files from your hard drives, shared disks, emails, downloads and system memory. When used in conjunction with Comodo Firewall, your PC is being protected by two powerful tools to repel, track down, or destroy viruses, trojans and spyware. It's a free two-tiered security system that exceeds even the big guys out there. It's real protection...at no cost.